To round out our mini-series on reviewing the different technologies that are available for the mortgage industry, we have saved the best for last: eClosing platforms. To fully adopt the digital mortgage concept, lenders must be able to offer digital closings (eMortgage) for their customers. The eMortgage, as dubbed by the early adopters, is a mortgage that can close electronically with eSignatures and eNotaries. Borrowers no longer need to drive across town to physically close their mortgage loan. This seems like a great idea, however, most lenders and investors have yet to embrace this concept. Why? Circa 2000, President Bill Clinton signed into law the U.S. Electronic Signatures in Global and National Commerce Act (e-SIGN), and it went into effect in October 2000. 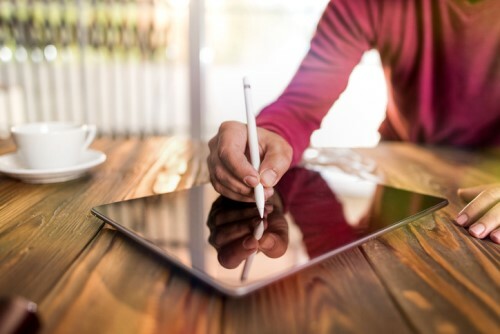 This federal regulation was designed to remove some of the legal uncertainty surrounding the use of eSignatures and encourage the use of eSignatures in government and commerce. It took nearly 10 years for the e-signature of upfront disclosure documents to become mainstream. Even HUD wouldn’t allow e-signatures on FHA loan documents until December 21, 2014, 14 years after it was signed into federal law. I think we can all agree now, 18 years later, that eSignatures for mortgage documents have become a must-have for lenders. A loan officer can send out the loan estimate and other required upfront loan disclosures to their customer and have them signed and returned the same day. With smaller profit margins, elevated costs and fewer mortgages to go around, it now makes sense to consider other “electronic” ways to consummate a mortgage. This improved customer experience was the focus of the new digital mortgage revolution. Expedite borrower data and documentation and allow them the accessibility to review, sign and save necessary information. A joint survey, conducted by HousingWire and Maxwell, showed that improving the borrower’s experience was number one, followed by internal cost savings and efficiencies. Most lenders started with number one – creating a faster and simpler borrower experience with digital mortgages. Now, it is time to look at the internal costs and efficiencies of the lenders’ back office. Forward-thinking lenders are expanding their technology to include eClosings for their borrowers. This will become mainstream and a necessity for lenders to compete in tomorrow’s mortgage market. So, what is an eClosing? An eClosing, as defined by Fannie Mae, is the act of closing a mortgage loan electronically. This occurs through a secure digital environment where some or all the closing documents are executed and accessed electronically. There is also a hybrid process in which certain key documents, such as the promissory note and security instrument, may be printed to paper and wet-signed, while other documents are signed electronically. Better consumer understanding: The CFPB measured whether consumers felt like they understood the process. The CFPB asked consumers questions about important loan information, such as the terms and fees, and if they understood the justifications for any differences between quotes and final costs. The study found a 7% positive difference in perceived understanding scores for borrowers using eClosings compared to borrowers using paper documents. A more efficient process: The survey asked consumers about their perceptions of how efficient the overall process was. This included their perceptions about delays, errors in the documents and the time between important steps. The study found a 17% positive difference in scores for borrowers using eClosings compared to borrowers using paper documents. Greater feelings of consumer empowerment: The CFPB asked consumers how empowered they felt after the process. The survey asked consumers to respond to statements such as, “I felt I had control over the closing process,” or “I felt empowered to play an active role in my closing process.” Other questions were about having sufficient time to review documents, ask questions and flag concerns. The study found a 15% positive difference in the scores for the eClosing borrowers compared to borrowers using paper documents. Today, some drawbacks still exist, specifically the fact that adoption is slow across all facets of the mortgage industry. This includes investors, lenders, notaries and county recording offices. Some states have yet to adopt the eNotary of eRecording capabilities. Sooner or later they will come around and adapt, just like with all new technology. Many of today’s roadblocks facing the eClosing are a limited number of investors that will accept an eMortgage, the complexity of implementing an eClosing solution and the fact that most lenders can’t justify the cost of an eClosing solutions due to lack of adoption. Plus, nobody wants to be the first in the pool. We all love to dip our toes in the pool and claim we are Olympic swimmers. We need to break out of this old school mold of, let’s wait and see what will happen in 10 years and then determine if we need to invest the time and money to meet the borrowers’ demands. Millennials and post-millennials will expect this type of service. If I can purchase a high-end automobile online, then have it delivered to my house or picked up from a giant vending machine, then why can’t I close my loan online as well? The time is now to adopt eClosings to enhance your borrowers’ experience, save millions of trees and other expenses, and most of all close mortgage loans faster. Remember, the time it takes to close a loan is the biggest complaint borrowers have today. This is the perfect tool to help with reducing processing time.